Bayon temple entrance. See those faces? Chichi told me that his face reminded her to the Engineer’s face from the Prometheus movie (which I haven’t watched yet). Writing this article reminds me to find and watch the movie soon. 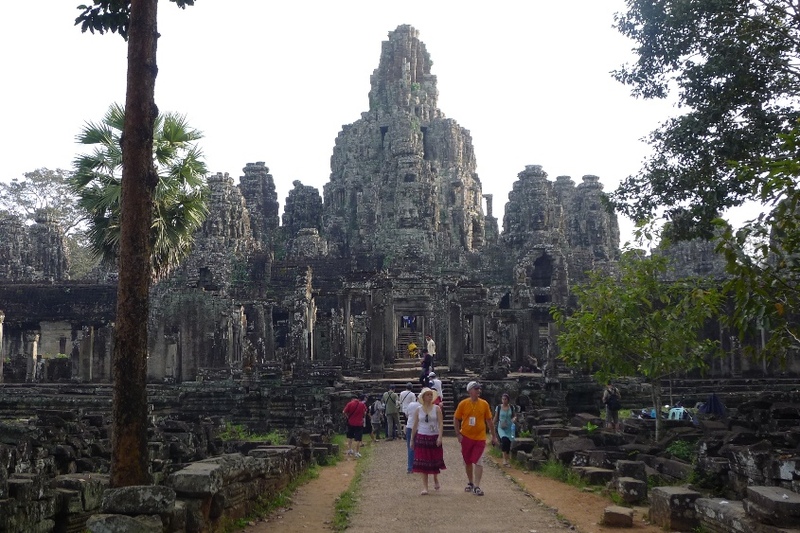 Bayon was the last temple to be built at Angkor. 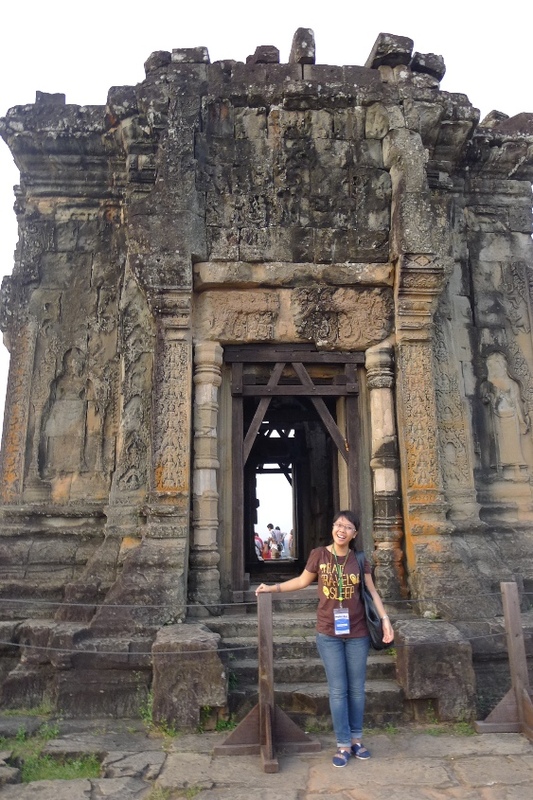 Its outer walls and outer gallery features series of historical life of Angkorian Khmer. 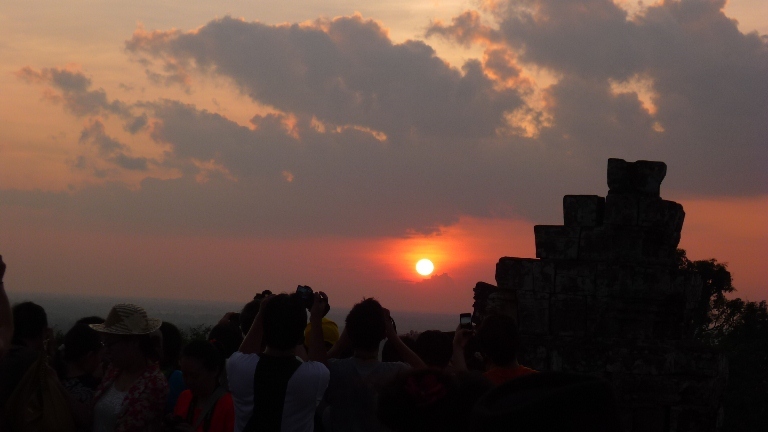 We had not much time left since we wanted to watch the sunset at Phnom Bakheng and its location is quite far from Bayon. 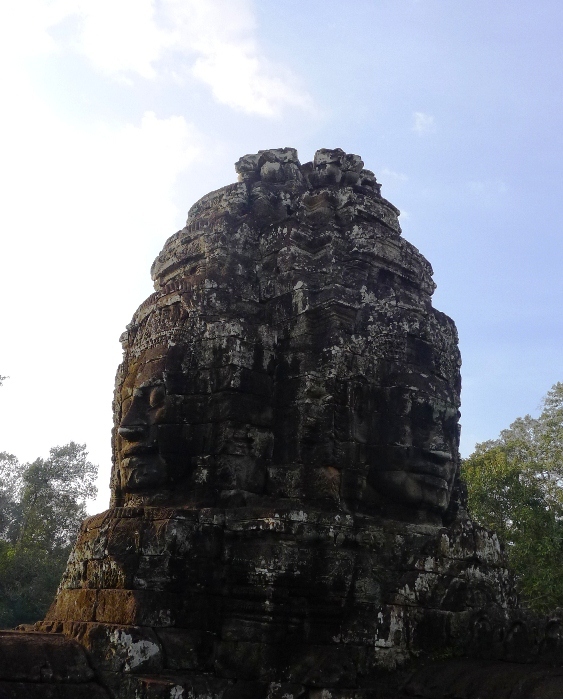 So, I didn’t have enough time to explore Bayon Temple that left a question inside whether Angkorian people loved their king so much as they carved his peaceful face in that enormous size. We headed to Phnom Bakheng which was promoted by the tuk-tuk driver as the best place to watch sunset in Siem Reap. Well, one thing I learn from traveling to many places is that sunrise or sunset (since it can be found anywhere), looks beautiful depends on your current feeling and also with whom you enjoy it. The tuk-tuk stopped on a field where full of people looked like in a hurry going to one direction. There were women and children selling Cambodian souvenirs as well. 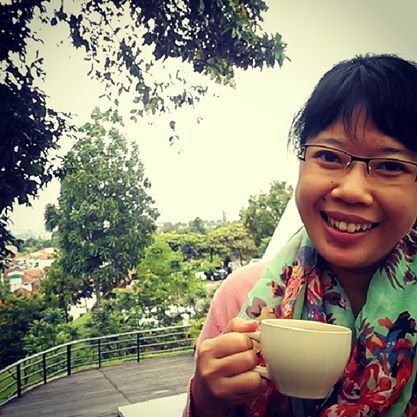 I spotted some beautiful silk scarfs and History of Angkor Wat book. I wanted to stop and started to bargain but the fact that we’re in a hurry chasing the sunset prevent me to do that. There was a sunset view I had to catch. There was a long queue in front of the Phnom Bakheng Temple. Gosh, I finally made it to the top of the hill and I still have to queue just to enter the temple? Oh don’t forget that you’ll have to climb the temple wooden stairs after that. After resting our feet for a few minutes, we joined the long queue. Yeah, there’s no point of climbing the hill if we suddenly gave up to the queue, right? 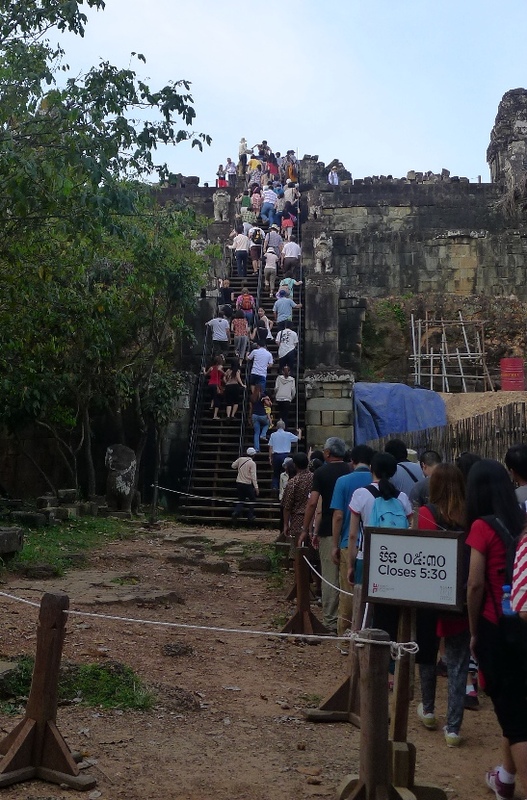 We were so lucky we came earlier as they won’t allow visitors to climb Phnom Bakheng temple after 05.30 PM. I could only assume it has something to do with the ongoing restoration. Well, there were so many tourist on top of the temple. There was also a bunch of Buddhist monks posed for tourist who wanted to take their pic. I walked around and can’t find any better place to watch the sunrise as the place was full of people. So the funny thing was that I started to taking picture of people trying to take picture of the sunset. If only I were 10 cm taller, I wouldn’t be that cranky, I think. Hahaha! It was a bit cloudy. I only hoped that our effort to get ourselves there was worth it. I hoped that there wouldn’t rain as none of us (the bloggers group) brought umbrella with us. When the cloud moved slowly, it left us a magnificent view of the sunset right above Siem Reap. I almost forgot on how the climbing thing made my feet pain and how it got me sweaty. The sunset was beautiful. It was worth it. Totally worth it.